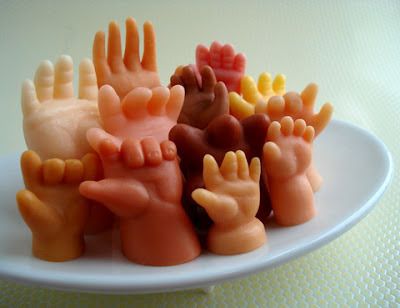 A few of these look quite delicious but these aren't for eating. 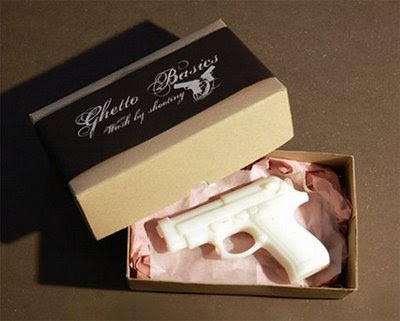 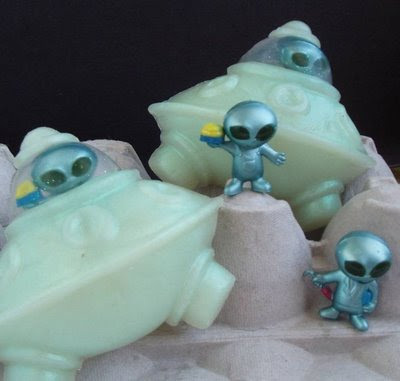 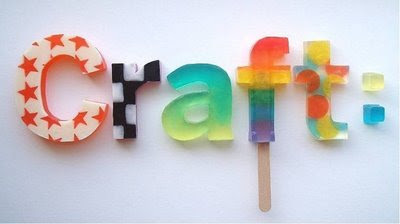 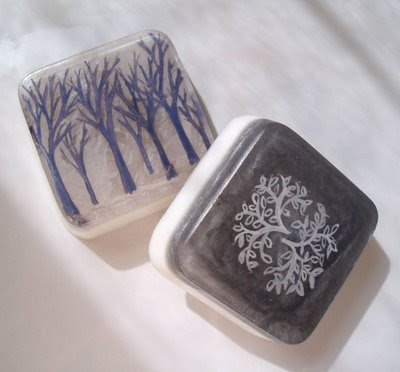 What we have here is 'Creative Soap Designs' from all over the world. 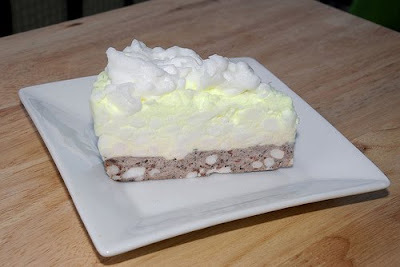 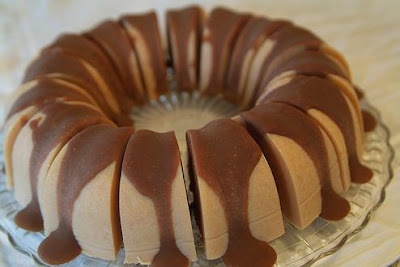 Soap Cake: "Almond scented goat's milk soap cake. 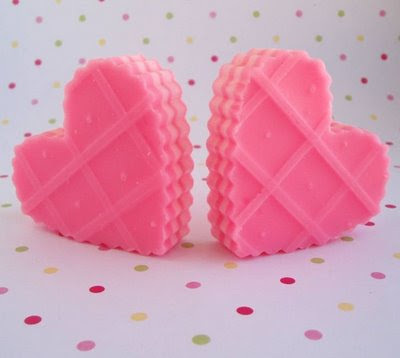 The icing is colored with natural caramel color and the fragrance is Bramble Berry's Cinnamon Sugar." 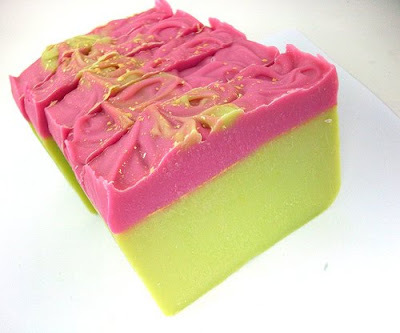 Garden Party: "Hot pink & lime green with a sprinkling of gold mica." 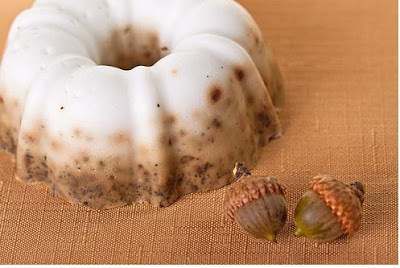 Bundt Cake Soap: Handmade white glycerin soap with sandalwood and peppermint essential oil and green tea leaves. 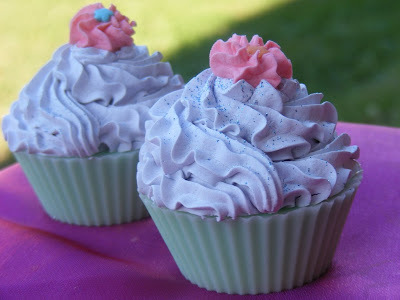 Cupcake Soap: It looks edible but its for your bath pleasures! 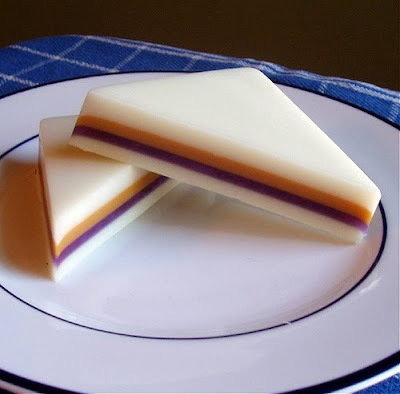 Peanut Butter & Jelly Sandwich Soap: Another one which looks delicious; it looks and smells like a peanut butter and jelly sandwich. 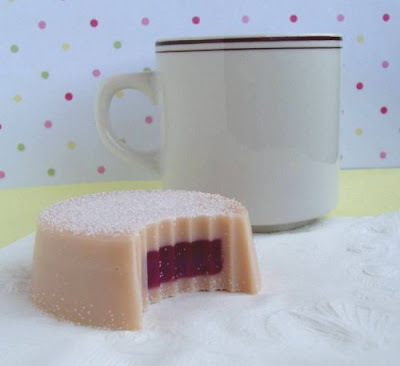 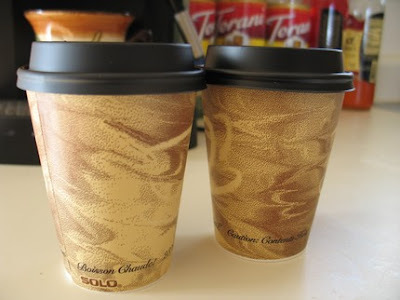 Hot Cocoa Soap: This one is "served in an 8-ounce coffee cup. 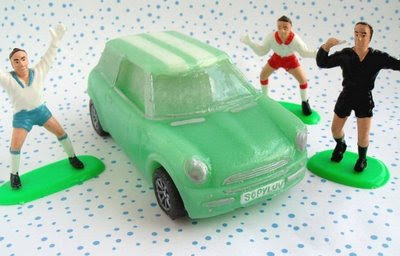 The main scent used is called "hot fudge brownie."" 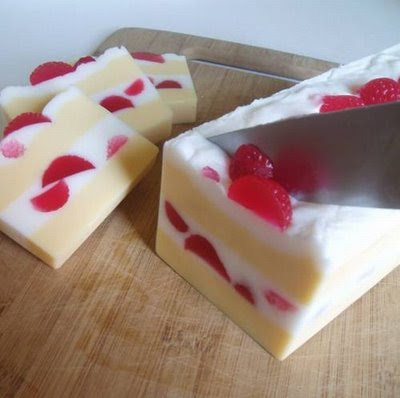 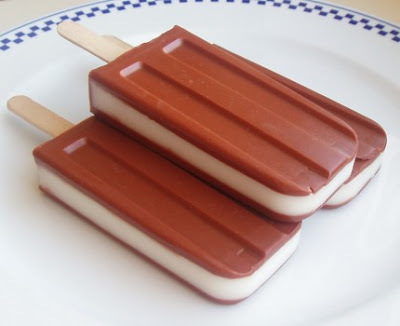 Ice Cream Soap: Another creative soap in the form of an ice cream bar. 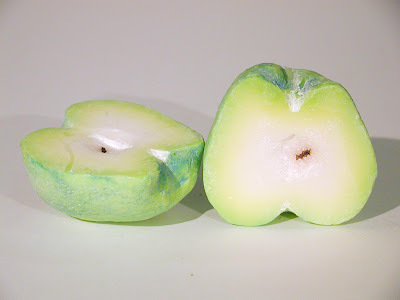 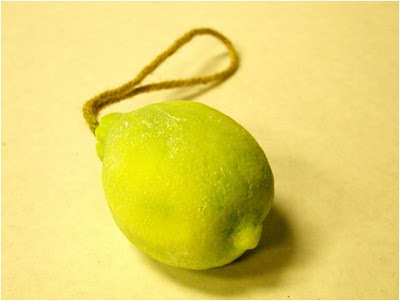 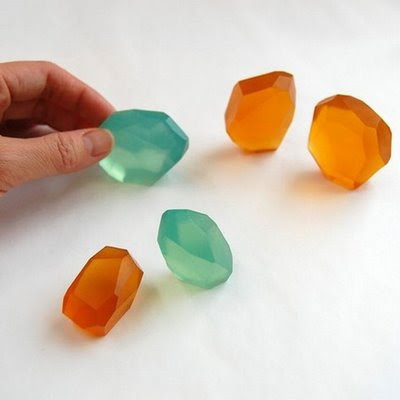 Lemon Soap: These creative soaps not only look like the fruit but also have the essence of the fruit inside! 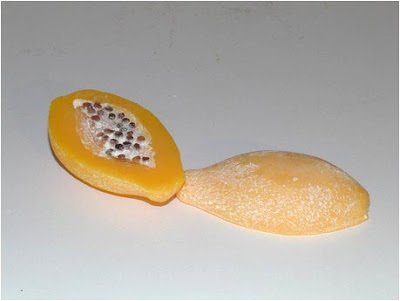 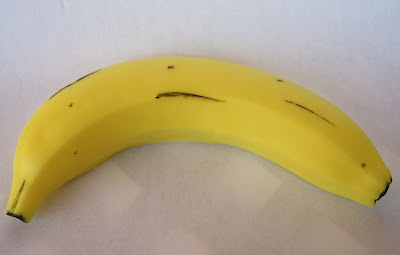 Banana Soap: A realistic looking banana shaped soap. 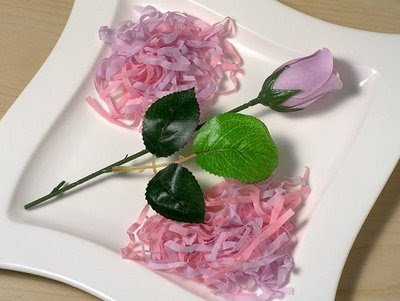 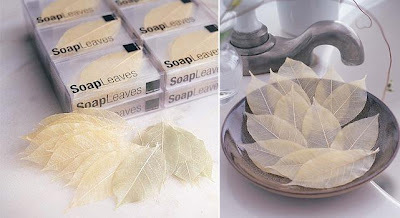 Soap Leaves: Each leaf is good for one or two washings; the content is hand poured over a dried lattice-like frame of real mango tree leaves to form individual soaps. 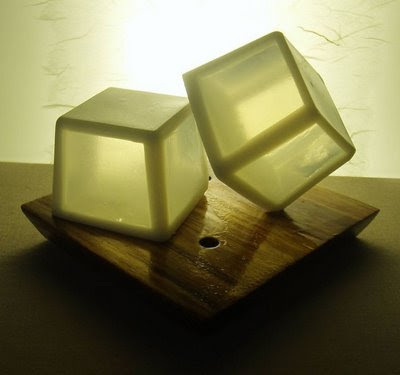 Soap Chair: Soap is exaggerated to the scale of a chair by N Wu. 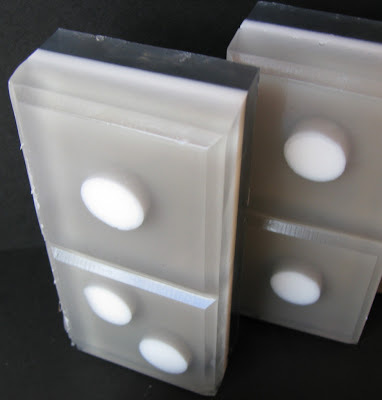 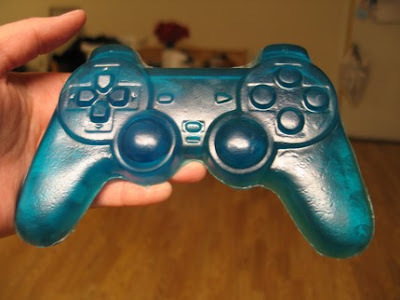 Playstation Controller Soap: It's a replica soap of a Playstation controller scented with juicy watermelon. 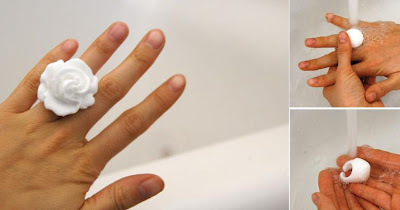 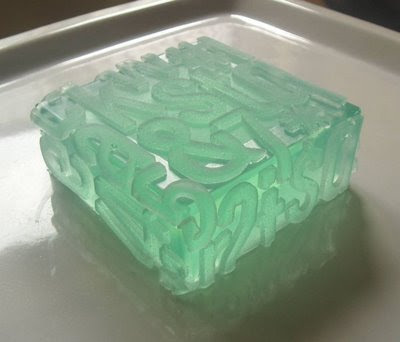 Soap Ring: Another one from N Wu, these soap rings disappear when they are used. 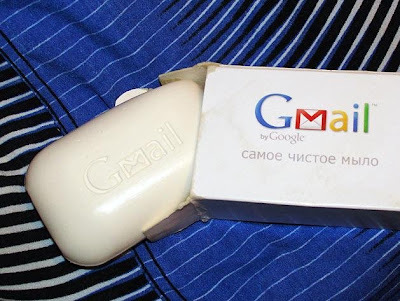 Soap Mouse: If you are among those who cant leave the computer peripherals behind even in the shower. 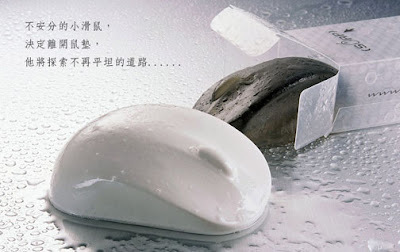 "Double click your body to cleanliness with the soap mouse."